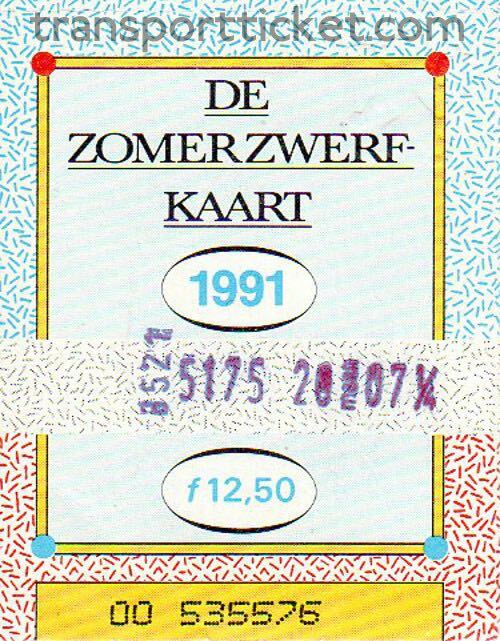 In November 1985 ESO, a collaboration of Dutch regional bus companies, announced the introduction of a new day rover, the Zomerzwerfkaart. 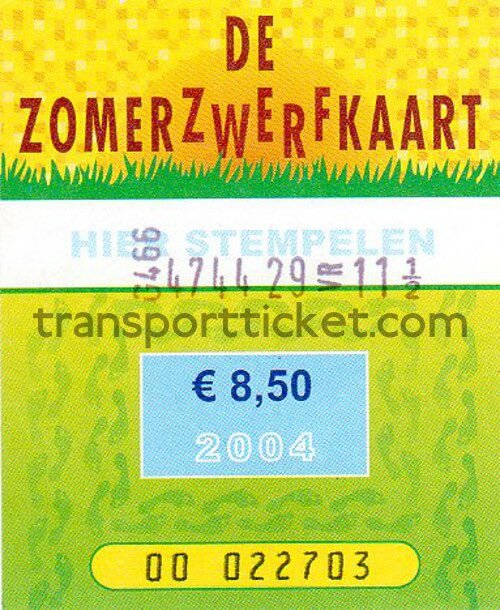 Goal was to increase the number of bus passengers in the summer, a period with usually lower number of passengers. 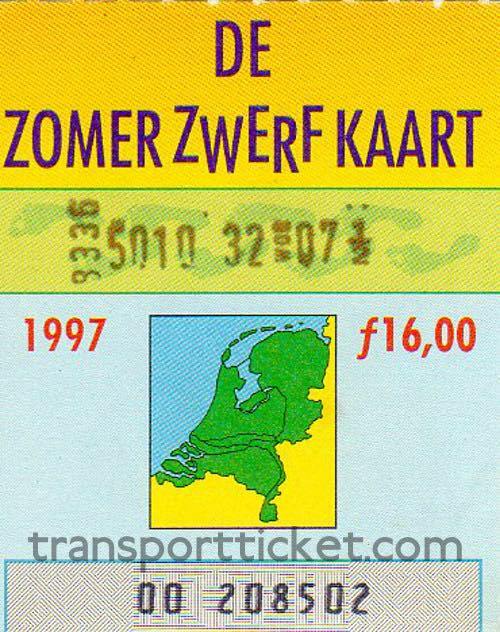 ESO hoped to sell 5,000 tickets in 1986 and 30,000 tickets in 1989. 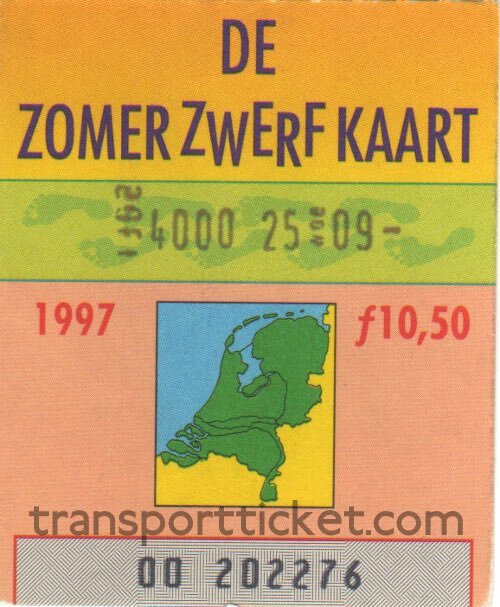 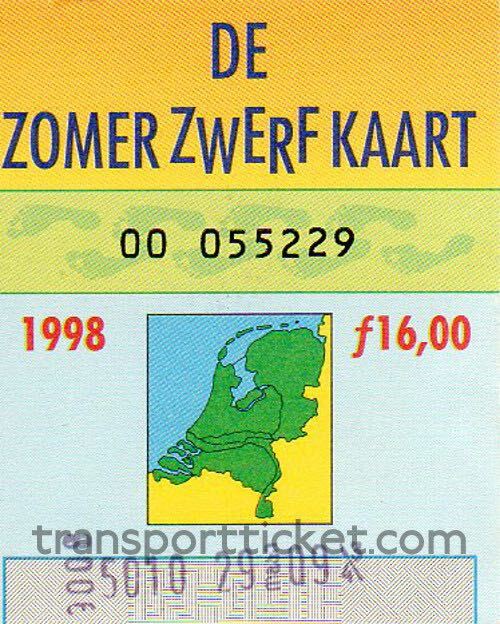 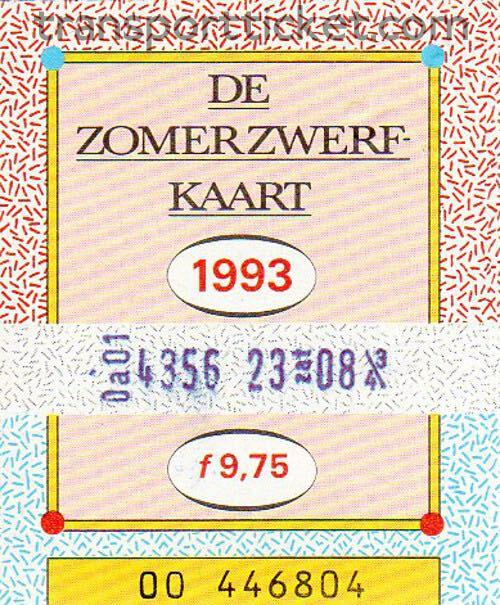 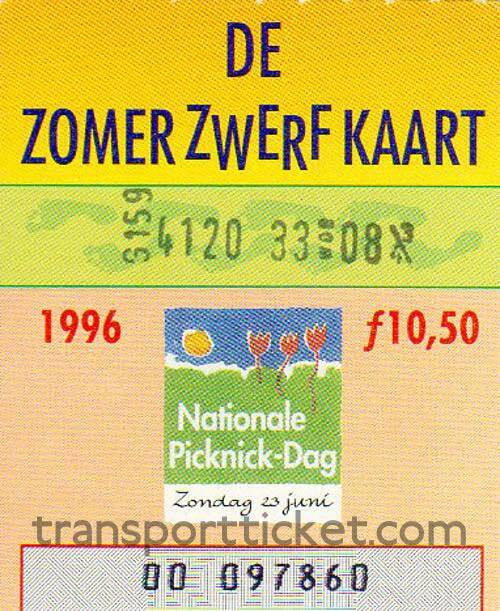 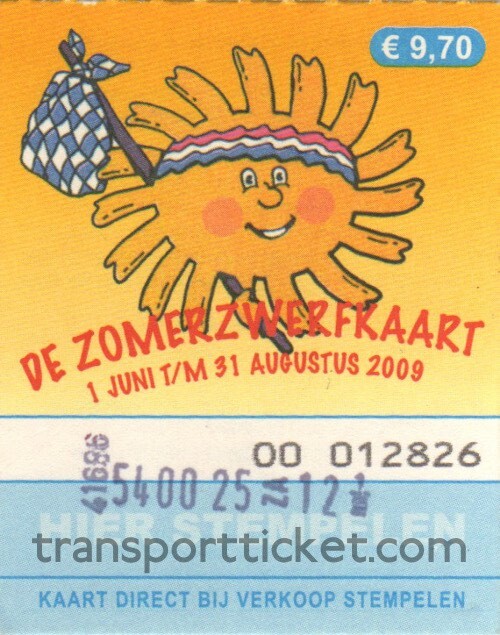 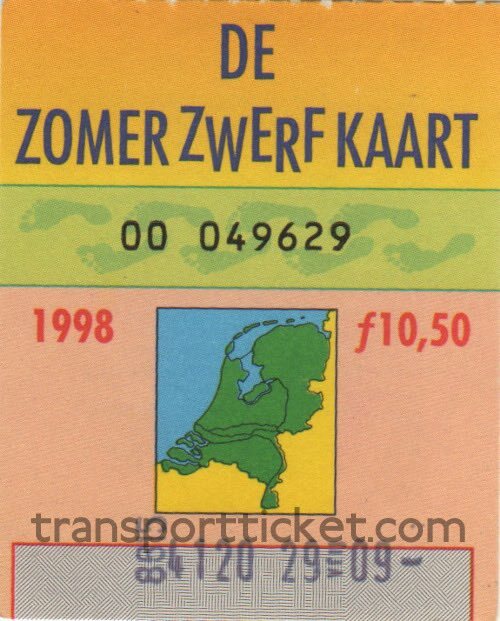 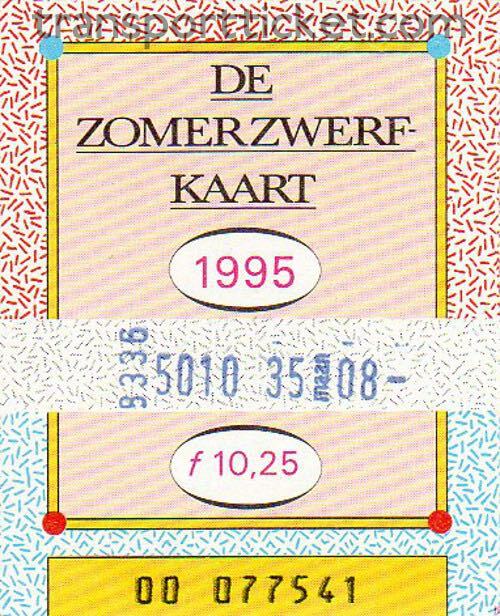 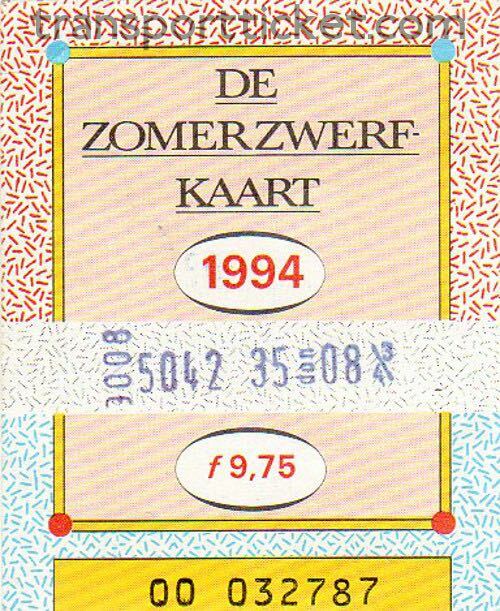 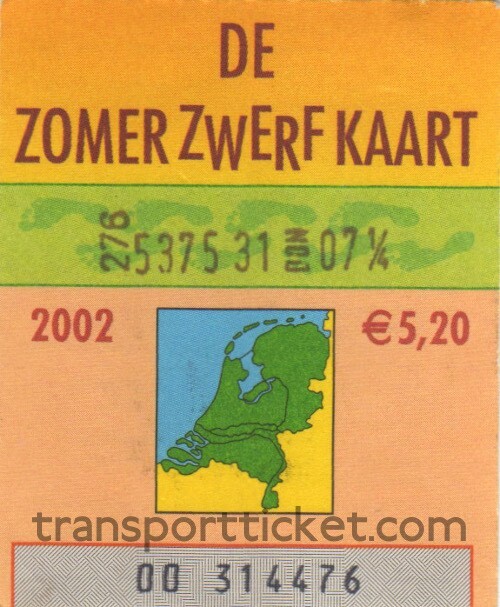 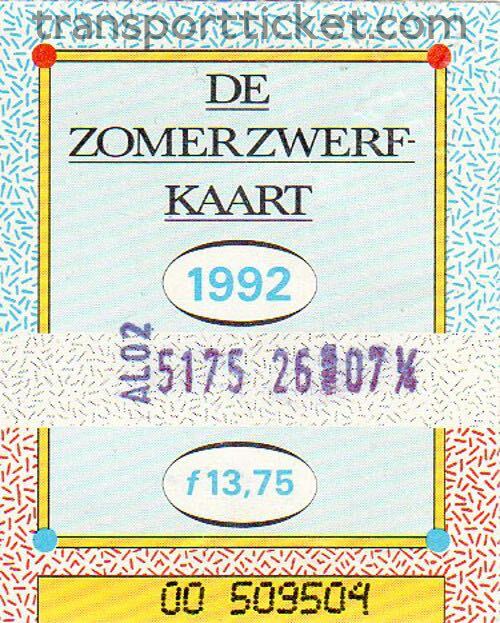 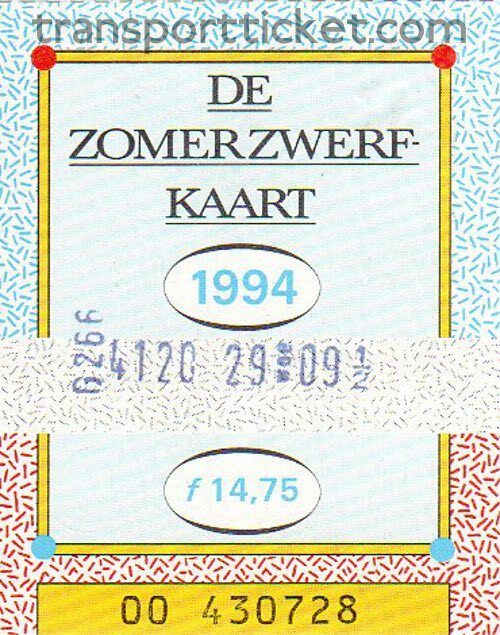 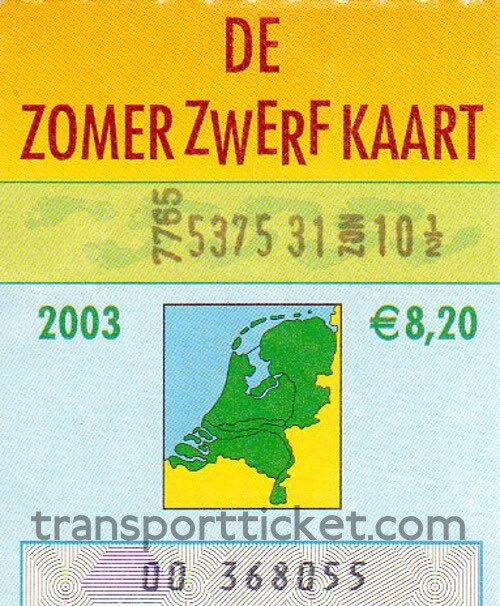 The Zomerzwerfkaart (Summer wanderer ticket) was a dayrover valid in the summers from 1986 until 2009. 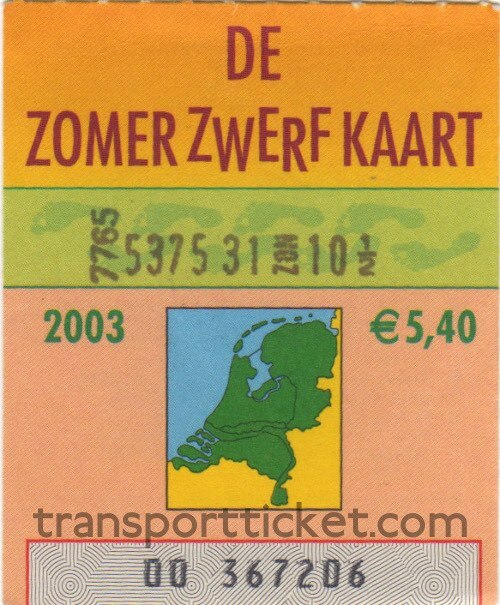 It could be used on almost all buses, trams and subways in the Netherlands. 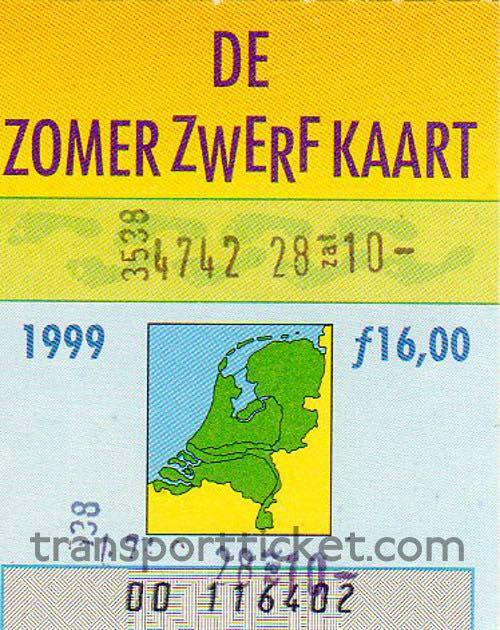 It was also valid on several railway routes. 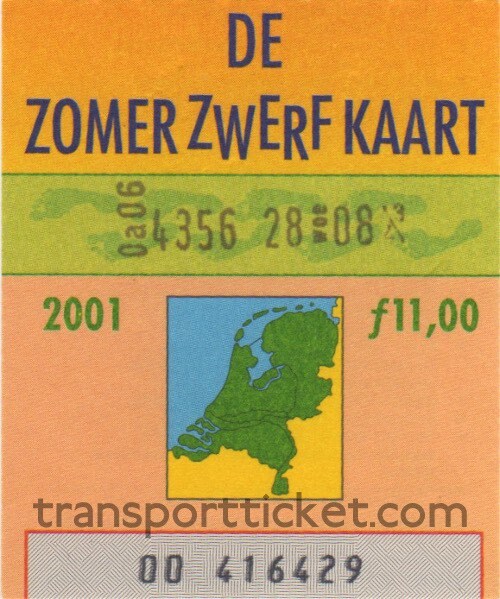 With a surcharge it was valid on long distance buses (Interliner and Q-liner) as well. 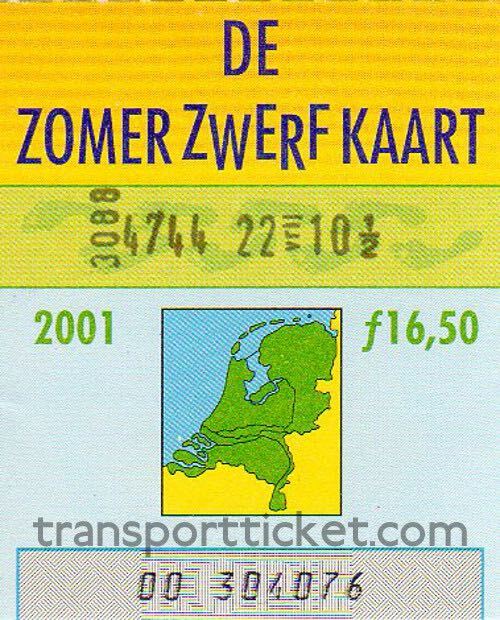 Tickets were only sold by bus drivers on the regional buses. 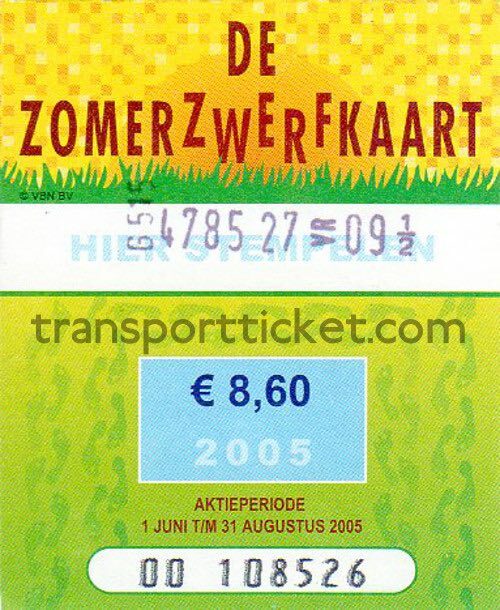 In 2006 Connexxion, one of the biggest bus companies in The Netherlands, decided to cease selling the Zomerzwerfkaart. 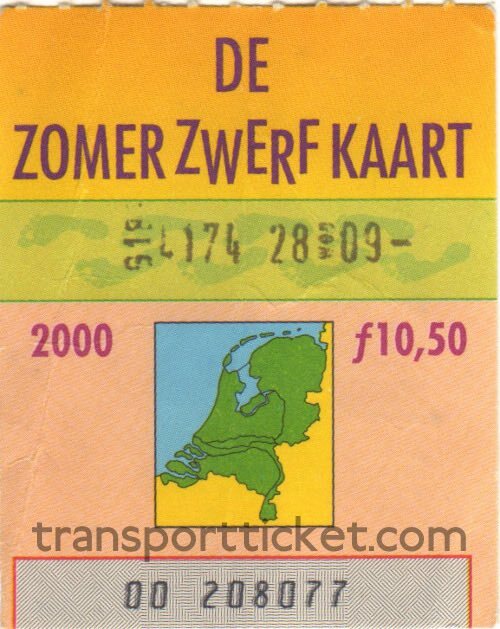 In the last year, 2009, availiblity was even worse. 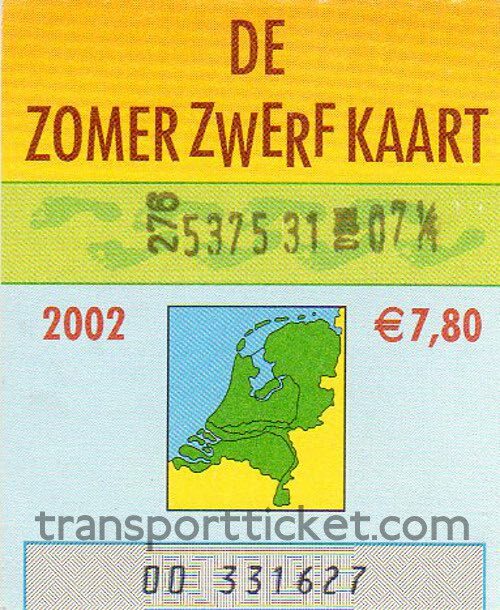 The ticket was then only sold by two companies, Veolia in Zeelandic Flanders and Qbuzz. 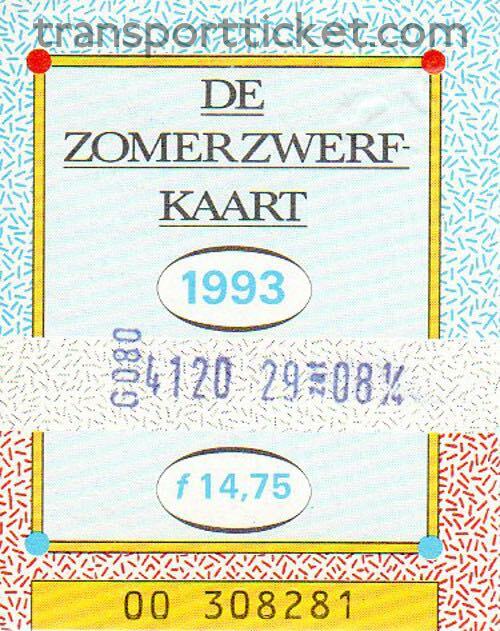 Until 1990 the Zomerzwerfkaart could only be used for groups of two to six persons. 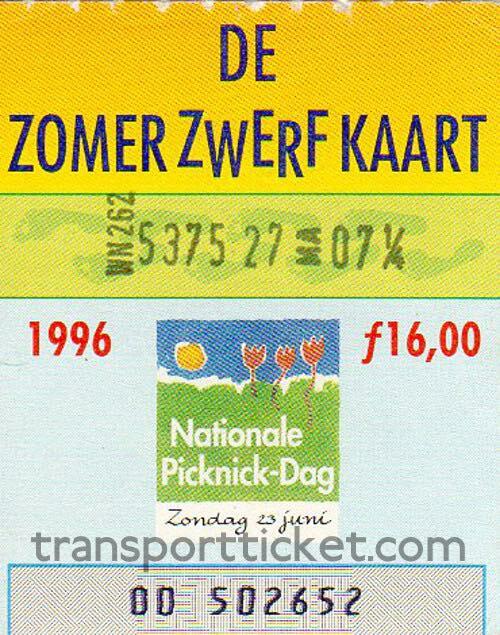 The Dutch Ministry of Transport felt that this cheaper day rover would undermine the National Tarif (Strip ticket). 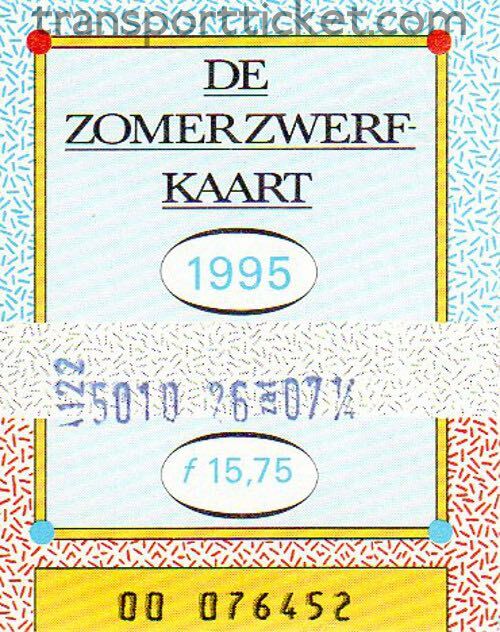 After five years, in 1991, the group requirement was dropped and anyone could use the Zomerzwerfkaart. 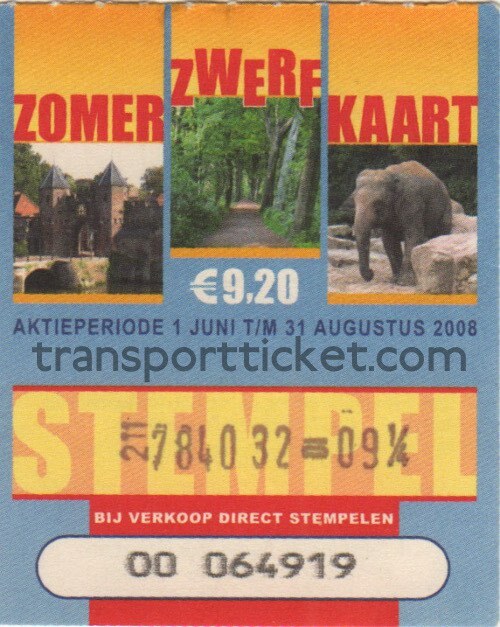 The reduced fare was valid for children (4-11 years), elderly (65+ years) and dogs. 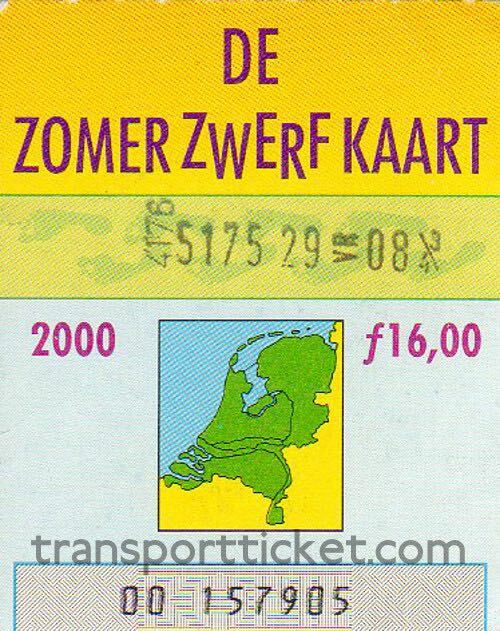 In 1986 the reduced fare for children was valid untill the age of nine. 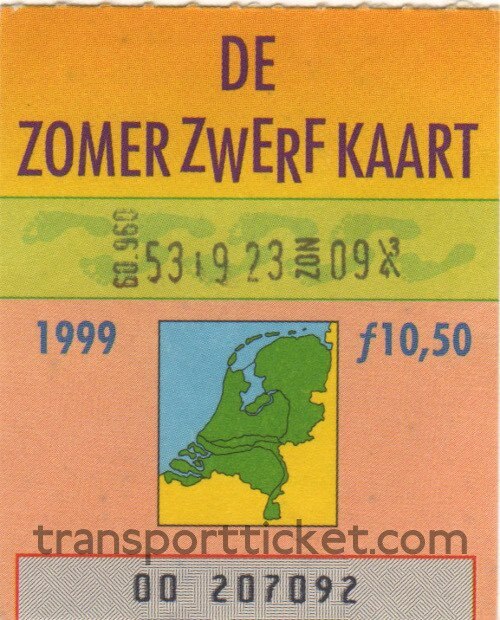 From 1987 until 1990 two persons who qualified for the reduced fare could travel one full fare ticket.